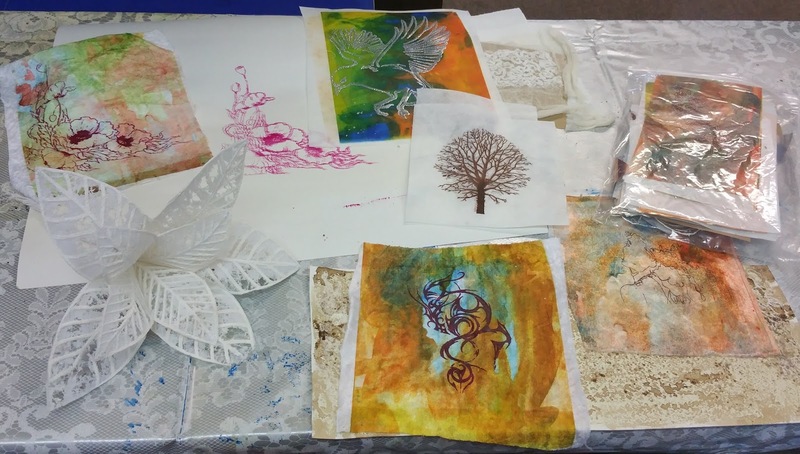 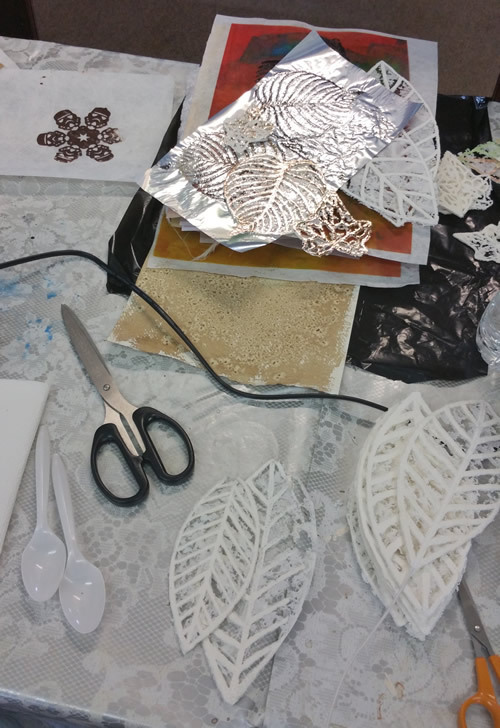 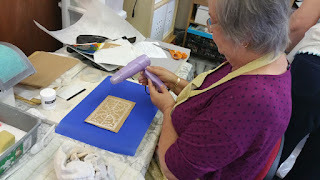 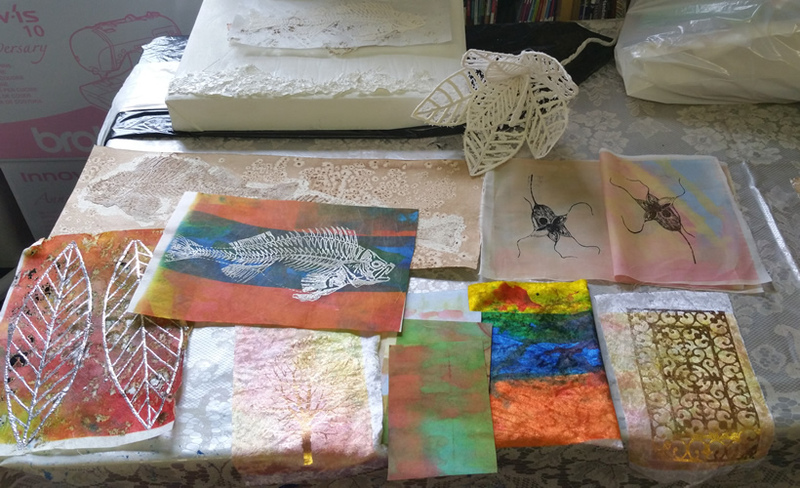 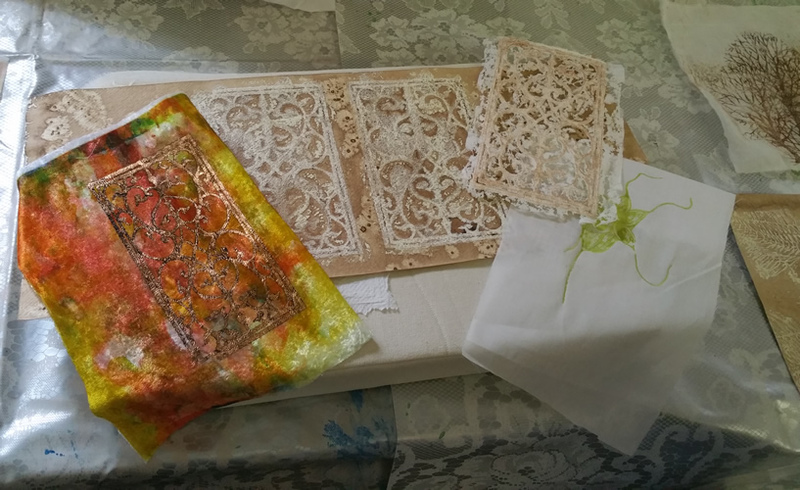 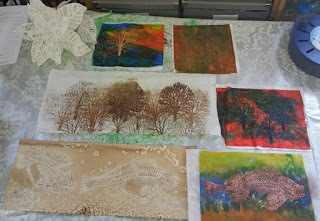 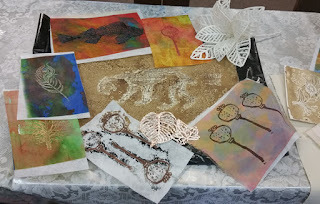 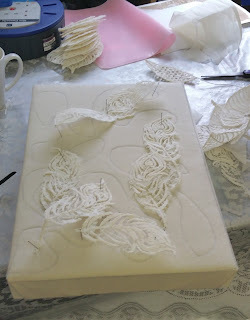 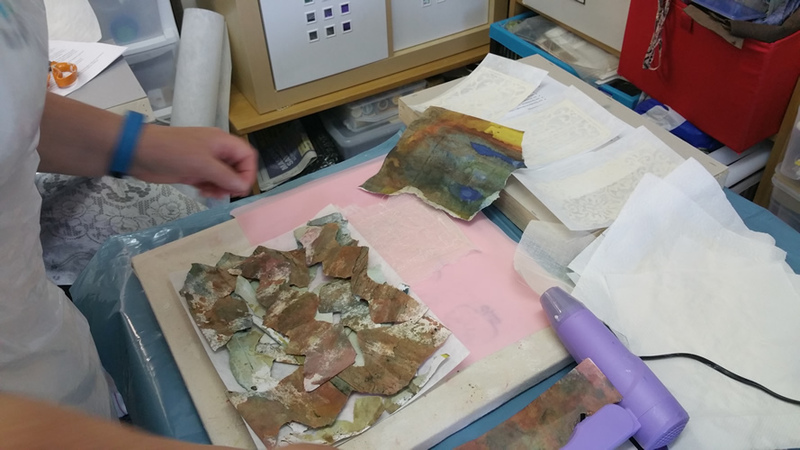 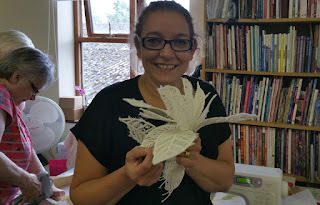 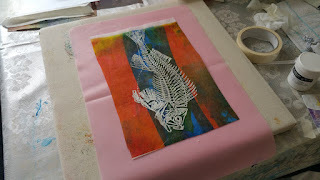 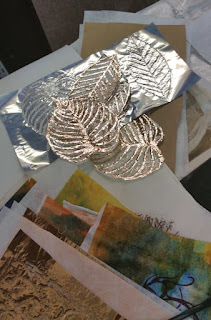 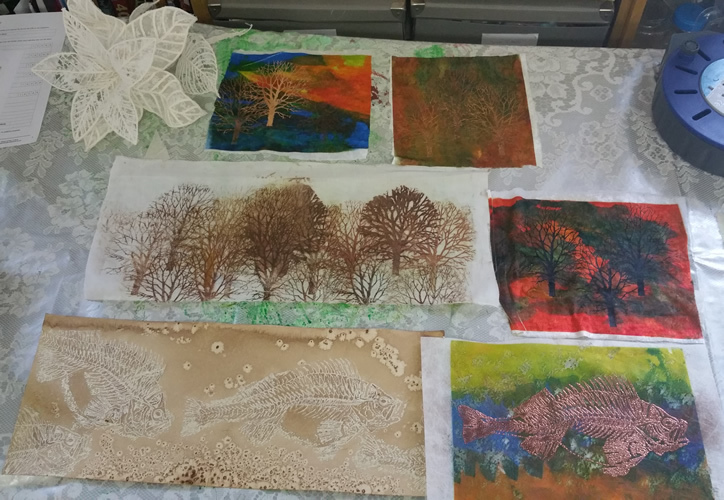 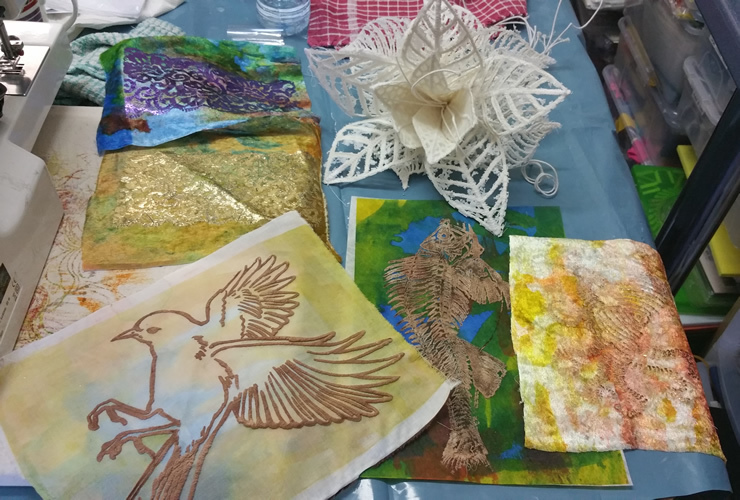 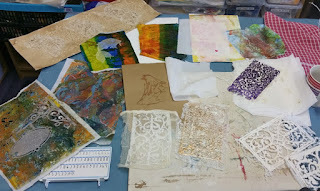 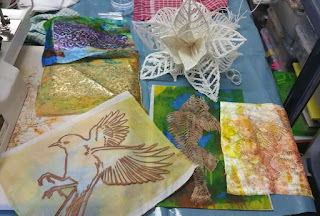 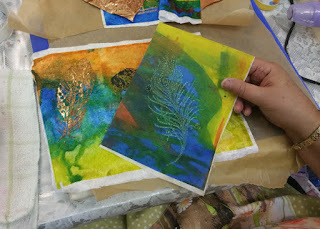 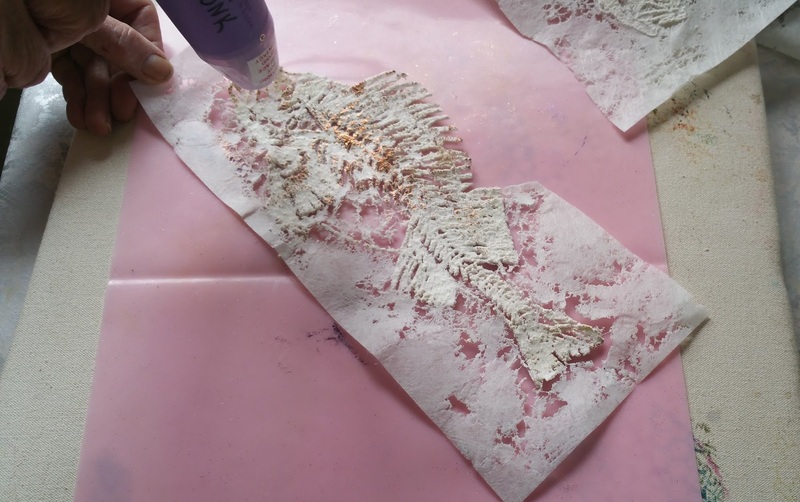 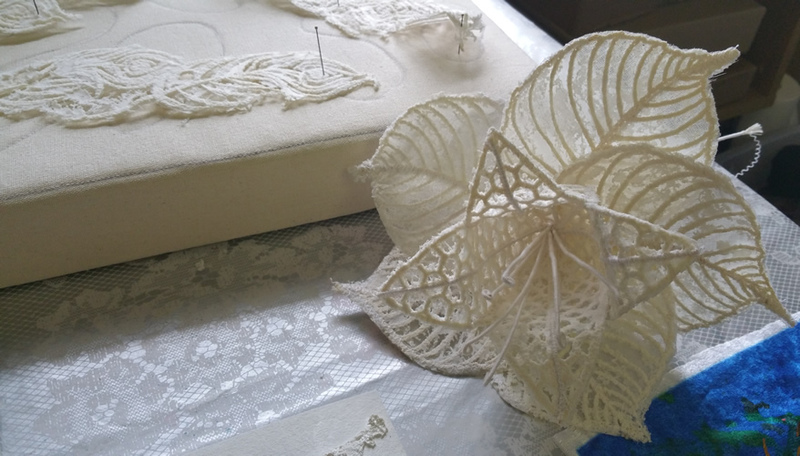 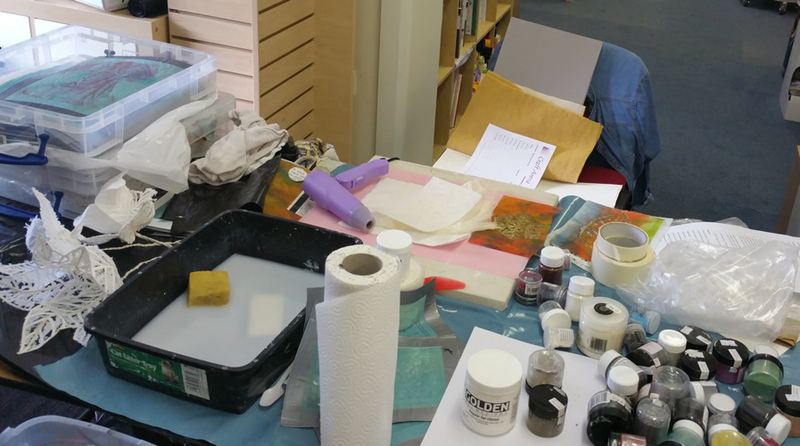 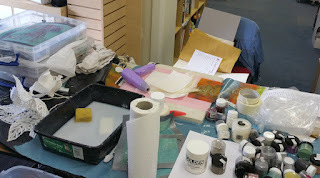 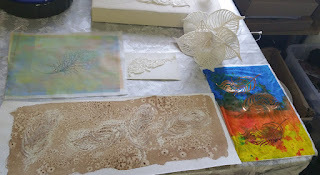 I thought you might like to see some of the work that was carried out at the Lynda Monk workshop last weekend. 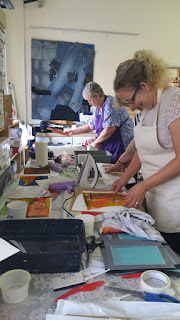 I had intended to attribute all the work to the people who made it, but time restraints today mean that I can only put them up for you to see, and say thank you to Wendy, Pam, Jackie, Jenny, Yvonne, Sue, Lisa, Vicki and Janice - and of course Lynda Monk for a fabulous day. 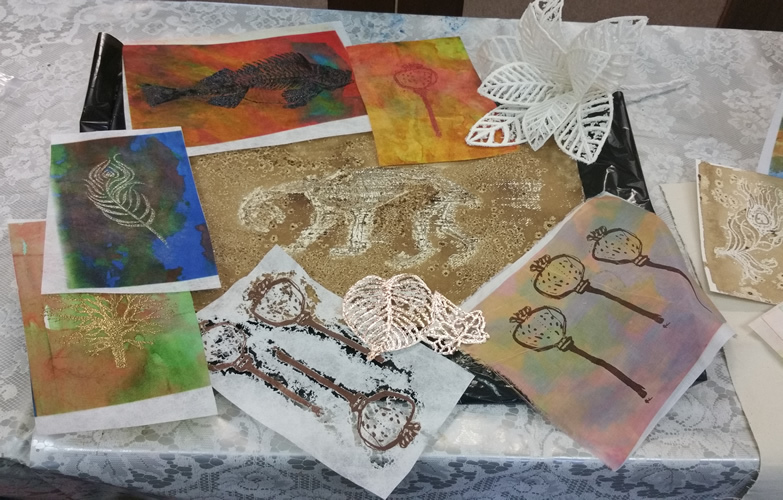 I know they all worked incredibly hard and achieved some fantastic results. I'm looking forward to seeing the finished results displayed at our workshop exhibition next year - just giving you a gentle nudge girls! 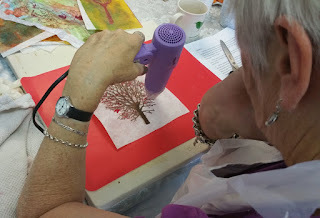 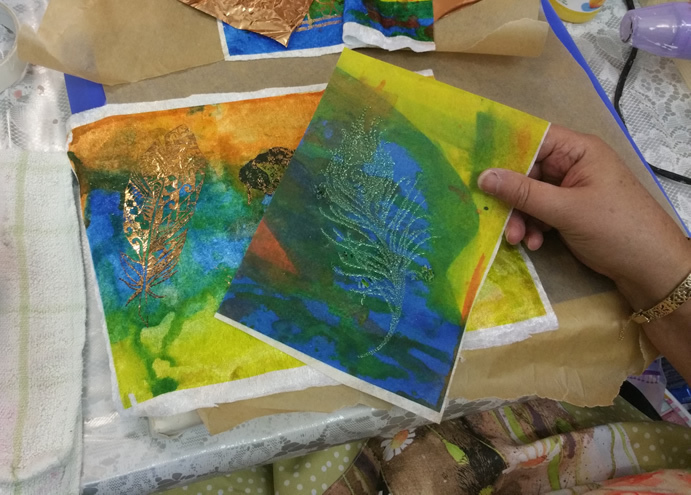 Lynda will be back in July 2016 with another exciting workshop.